The COBRA PLUG-IN GPR uses Real Time Sampling of the radar signal. Today major manufacturers use conventional interleaved sequential sampling, giving only a down converted replica of the real signal. The Real Time Sampling allows for 32,000 stacks/second resulting in an amazing 45 dB increased signal-to-noise ratio. Wireless Bluetooth connection between GPR and control unit replaces interfering coax-cables and fragile fibre optic links. Data is stored in standard SEGY geophysical format. 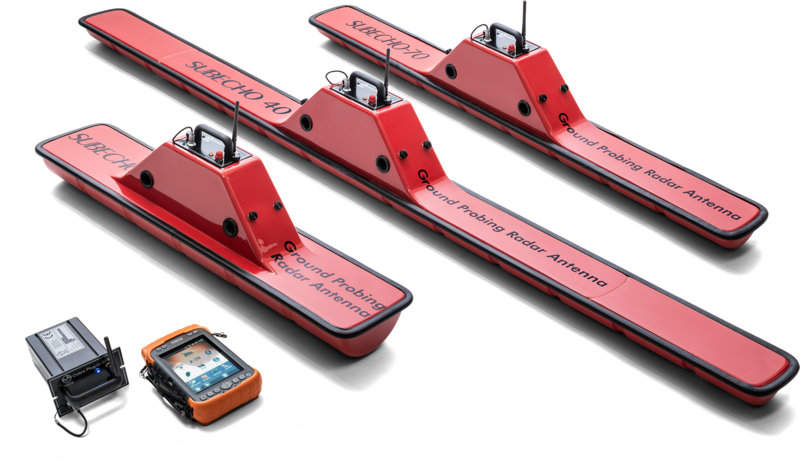 The complete GPR-unit plugs into a single SUBECHO Antenna, any selectable model. No need for bistatic configuration. Contact us now for a quotation or further information!